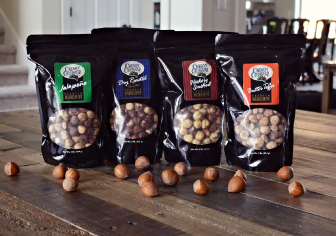 Oregon Orchard offers a variety of flavors for hazelnuts including jalapeño, dry roasted, hickory smoked and butter toffee. Consumers worldwide are seeking healthier snack options. Hazelnuts, also known as filberts, are exceedingly high in “good cholesterol” or unsaturated fat and contain very little undesirable saturated fats. Already a flavorful, healthy food enjoyed by millions worldwide, a recent report predicted a major increase in demand for hazelnuts over the next ten years as consumers seek out more wholesome snacks. High in magnesium, calcium and vitamins B and E.
The common hazel (Corylus avellana) is the species that is cultivated for its nut production. While native to Europe and Western Asia it is currently grown around the world in the temperate region. Hazel comes from the Anglo-Saxon word for bonnet (Haesel) , while Corylus the genus name probably comes from the Greek word for helmet (Korys), both referencing the shape of the nut. 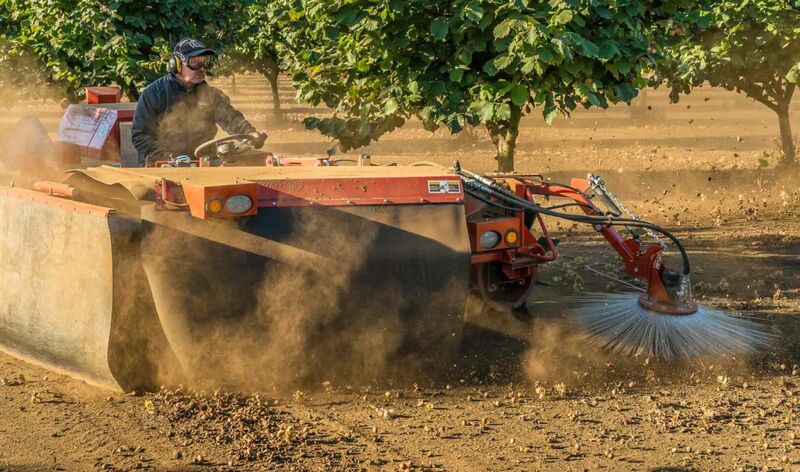 Turkey produces roughly 75% of the worlds hazelnut production and in that country the crop is harvested primarily by hand. Hazelnuts are monoecious which means that the tree has both male and female flowers. Male flowers are borne in long yellow catkins while female flowers are small with red pistils.